The Titans find Deathstroke a bit more than they can handle. The Titans are facing their deadliest threat yet: being left out of a superhero box office boom. Good job they’ve got a certain mercenary they can be arch nemeses with to join in on the fun! 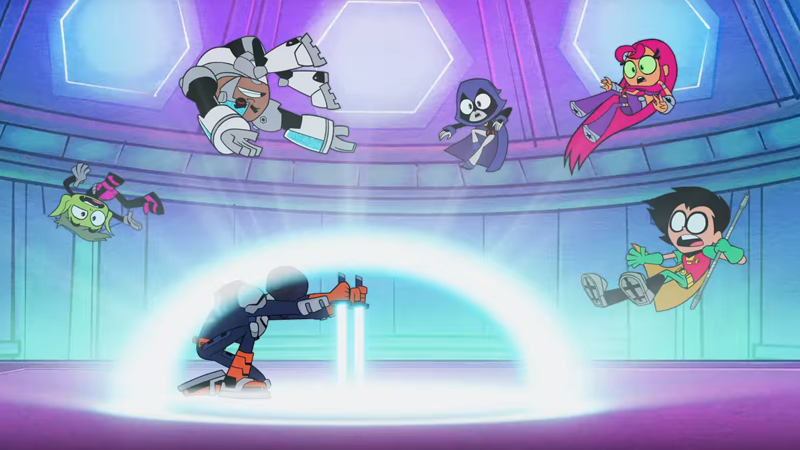 Aside from a plethora of in-jokes about Warner Bros.’ attempts to create a whole universe of DC Comics movies (mostly Batman characters, though), this latest look at the Teen Titans Go! film also gives us a bit more of a plot for the film beyond the team just wanting in on their own movie franchise. To get that franchise, they set their eyes on a longtime rivalry of their own, with... Deadpool? No wait, sorry, Deathstroke. Or as Teen Titans animation is fond of referring to him as, Slade. Honestly, I am down for this whole thing just being an extended rip on the success and failures of DC’s long history at the box office. The Titans/Deathstroke conflict is just a fun bonus! Teen Titans Go! To the Movies hits theaters July 27.